For Valentine’s Day a very fine flamenco guitarist David Jenkins played during dinner at the restaurant Los Danzantes. David lives on the coast of Oaxaca in Puerto Angel and plays in the city of Oaxaca frequently. Sorry but this blog doesn’t have a soundtrack, yet. 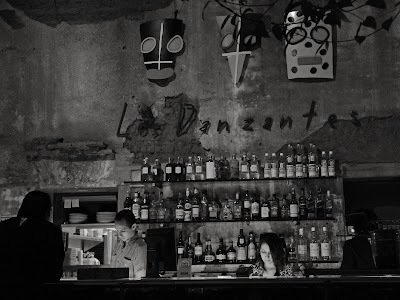 This started out to be sort of a Valentine Card but Los Danzantes is fairly dark at night not conducive to photography. So to cover Señor Jenkins we go to plan B. 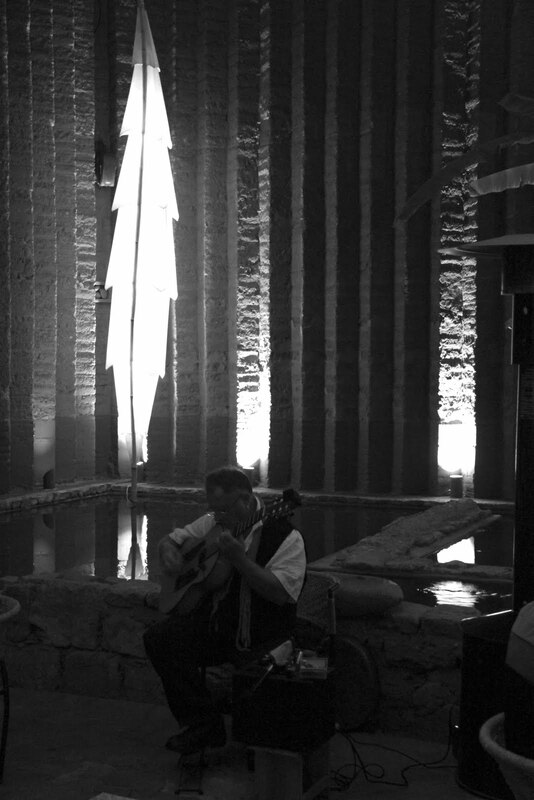 Last year David did a concert with a singer, Kat, at the Museo del los Pintores Oaxaquenos. That night the concert was special so to celebrate a few friends headed over to Mason Olivo, a Spanish restaurant a few blocks away. 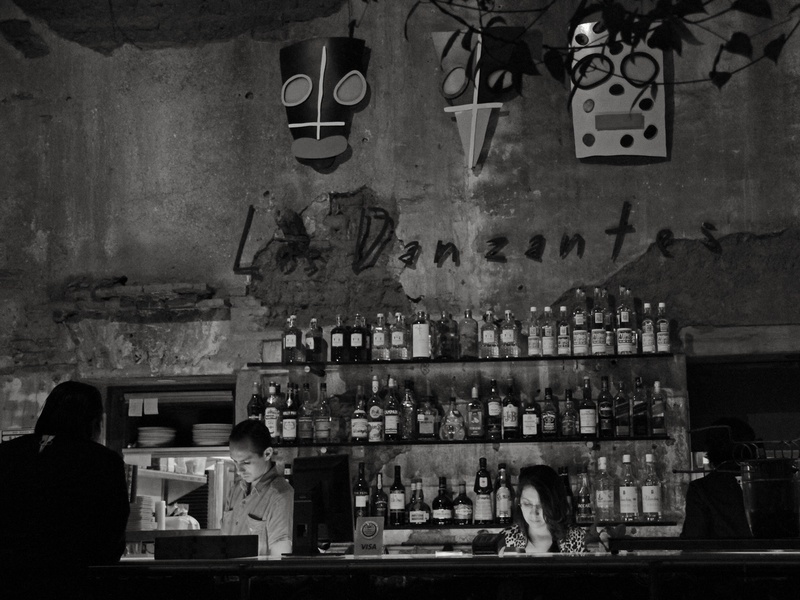 Most everything in Oaxaca is just a few blocks away, or a few more. After much wine and an impromptu second concert, which made everyone at Mason Olivo’s happy, Señor Olivo pulled the plug on the party at around 2 AM. All in all it was an evening with more light and more photo opportunities. After the big splash of color in the Ocotlán post you can see that I’m trying the opposite this time. I hope you enjoy the photos. There are a few more here. If you live in Oaxaca and want to get in touch with David Jenkins, he has a website. In fact if you go there you can have a soundtrack from him while you go through the photos. I hope all of you had a happy Valentine’s Day.